How Far is MCB Samaya? 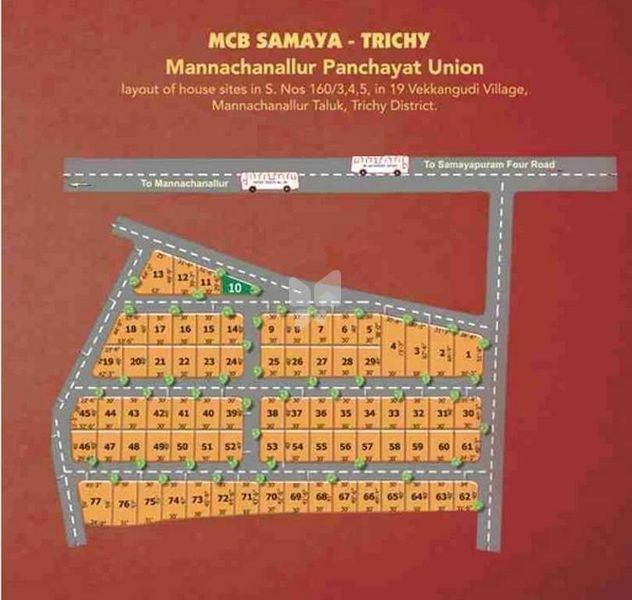 MCB Aassetz is proud to present its new residential venture in Trichy -“MCB Samaya”.It is a Approved Gated Community Premium Residential Plots on Chennai to Trichy Highway with Well designed Entrance arch and Secured Fencing on all sides, sweet ground water available at the depth of 20 feet, We also offer to construct Independent Villas, This place is close proximity to SRV Matric HSS, Trichy Engineering college, MAM Engineering College & Chennai Medical College , Just 2 Km from samayapuram temple ,1.5 Km from Chennai to trichy highway (NH 45), 10 Km from Trichy charm bus terminus. Tar roads lead the way to the “MCB Samaya”. 10 Km from Trichy charm bus terminus. Just 2 Km from samayapuram temple. 1.5 Km from Chennai to trichy highway (NH 45).